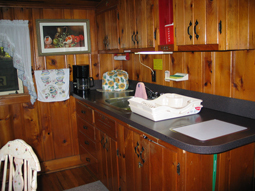 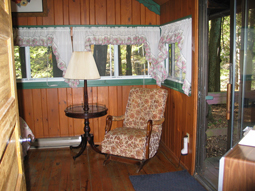 Cottage has fully equipped kitchens, cable TV, VCR & some a CD player. 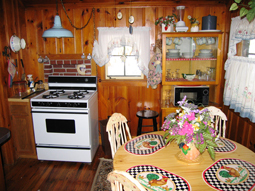 There are bon-fire pits so that you can enjoy a warm evening fire with friends and family under 90' pines (wood is supplied). 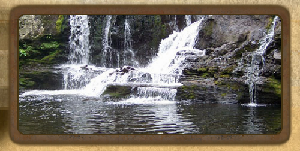 You can enjoy some fishing in the creek that is merely 75 yards behind your cottage while others can explore, swim & enjoy the magnificent waterfalls. 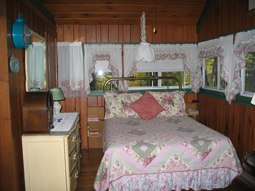 The Delaware River is only 2.5 miles away where you can also fish, rent canoes or use your own boat. 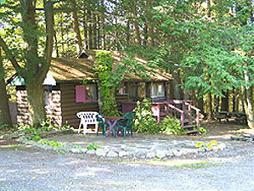 Just minutes from major Pocono attractions.